Congratulations to our lovely client, Rizon Jet. Its VIP Terminal in London Biggin Hill has been ranked No1 in this year’s European Business Air News (EBAN) FBO survey. 2012 was Rizon Jet’s first full year of FBO operations in Doha and London Biggin Hill, and an important milestone for its founder. 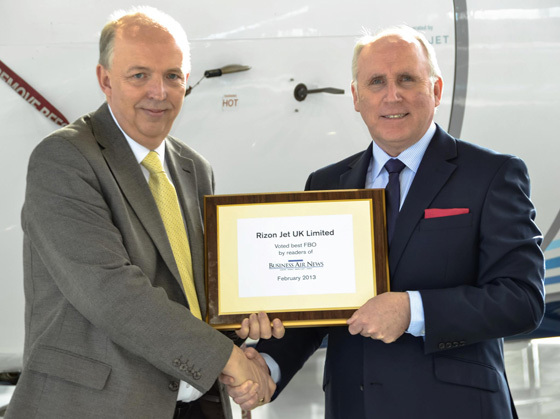 It’s been the culmination of a vision long held, and the EBAN No1 ranking for Rizon Jet UK is another wonderful endorsement of the founder’s visionary investment.